I picked up Desperate Allies on Free RPG day at our Friendly Local Gaming Store (which was a blast!) as well as the Force and Destiny Beginner Box. I’ll wait to review F&D after I run it once or twice, but I’ve now had time to read over the Sourcebook for Diplomats and have a few thoughts I’d like to share. First off, let’s get to what this book adds to the game. The new races are Caamasi (weird fuzzy bird-like species from a world nearly annihilated by the empire), Neimoidians (Trade Federation! Boo! ), and Gossam (silhouette-0 bug looking guys). The Caamasi have an interesting ability, in that they can (once per session) create a Memnis or perfectly recall certain events that can be shared with other Caamasi or a force-sensitive character. That has some cool story implications, and could be really fun for either an investigation or negotiation mission. The text for the Neimoidians pretty much says good luck playing one, since most have bad memories of the Trade Federation during the clone wars. Seems like a strange choice for a rebel, but if you’re looking for a challenge, you could go this route. No great special ability to speak of: start with a rank in deception or negotiation. The Gossam could be cool, since they are silhouette 0. They also start with a rank in deception. This book adds the standard 3 specializations to Diplomat. From the core Age book we have Ambassador, Agitator, and Quartermaster. This book details the Advocate, Analyst, and Propagandist. Something that jumped out at me about these options are they seem to play 2nd fiddle to a main “face” character. Several of the talents from the Advocate’s tree in particular modify another character’s roll. 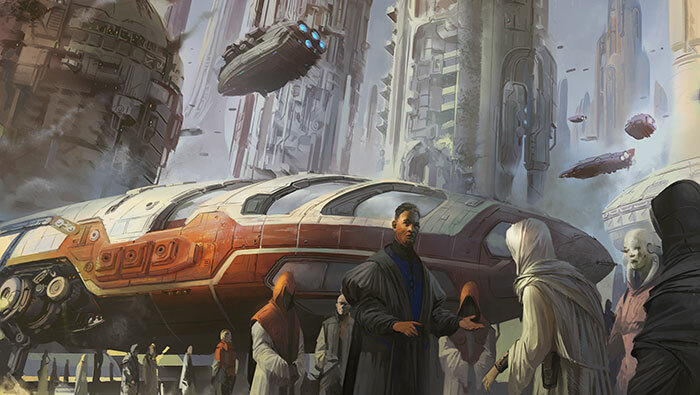 All Diplomats start with their choice of Charm, Deception, Knowledge (Core Worlds), Knowledge (Lore), Knowledge (Outer Rim), Knowledge (Xenology), Leadership, and Negotiation. Advocate adds Coercion, another Deception, another Negotiation, and Vigilance. This is definitely the bad cop, in a good-cop bad-cop style deal. This spec is mostly about seeing through deceptions while crafting your own. I don’t feel like this would be the strongest choice, unless your campaign was mostly diplomatic missions. I think these skills have their place, but this is Star Wars! This spec just doesn’t do much for me. Analyst has the most initial appeal to me. To the main skills, Analyst adds Computers, Knowledge (Education), Knowledge (Warfare) and Perception. The consumate skill-monkey and researcher, this could make a really fun droid character to play. If you wanted to be a bit more well-rounded, you could buy in to the recruit spec from the core book and hold your own in a fight. The analyst is likely the character with their face buried in a terminal during a firefight that your more martial characters are buying time for. Seems like a great addition to any rebel cell. Propagandist has some interesting possibilities. To the core skills add another Charm, another Deception, Knowledge (Warfare) and Perception. They have a talent called Positive Spin which increases Duty by 1 per rank, allowing the party to “advance” more quickly in the ranks of the rebels. Towards the bottom of the tree there are interesting talents to influence NPCs. Bad Press allows you to make a Deception check once a session to decrease the wound threshold of members of an organization. Seems like if that organization was, I don’t know, THE EMPIRE that could be a bit over-powered. I’m sure its up the to the GM’s discretion, but wow. 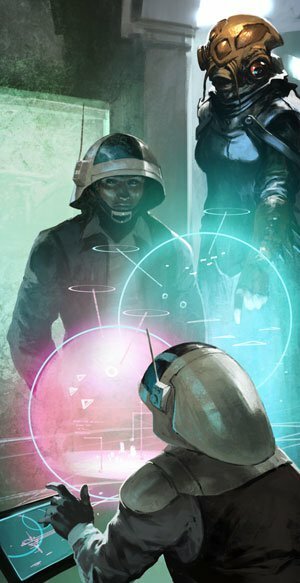 The illustration has a little floating camera droid I thought sure there would be stats for, but I haven’t been able to find any, if they are in the book. There are a couple of signature abilities for diplomats that this book provides. One is Diplomatic Solution which allows you to spend 2 destiny points and make a daunting charm check to turn a combat encounter into a social encounter instead. I think this is pretty clever, and definitely fits the flavor of the class. The other is Unmatched Insight which allows you to know background information of people you are negotiating with, that could be used as leverage. In the equipment section there are a few blaster pistols, bunch of great new non-lethal grenades (sonic, data-purge, and nightmare), and a whole section on Protocol Droid NPCs, much like Astromechs were in the Ace book. There are a number of interesting melee weapon additions, mostly stealthy in nature like needle gloves, a sword cane and a stealth vibroknife. Also, the armor section has some interesting entries in the Flare Jacket that allows once per encounter to trigger charges that can stagger foes (or really anyone) within short range, as well as a holographic suit that can be used for very quick costume changes, and the hauling harness (think Ripley’s cargo loader) that increases encumbrance capacity by 6, but also upgrades combat checks *twice*. Some other interesting additions include an ascension pistol (dedicated grappling-gun), security sweeper for surveillance devices, and a sound dampener that adds two setback dice to checks made to detect noise from the area in which it is used. 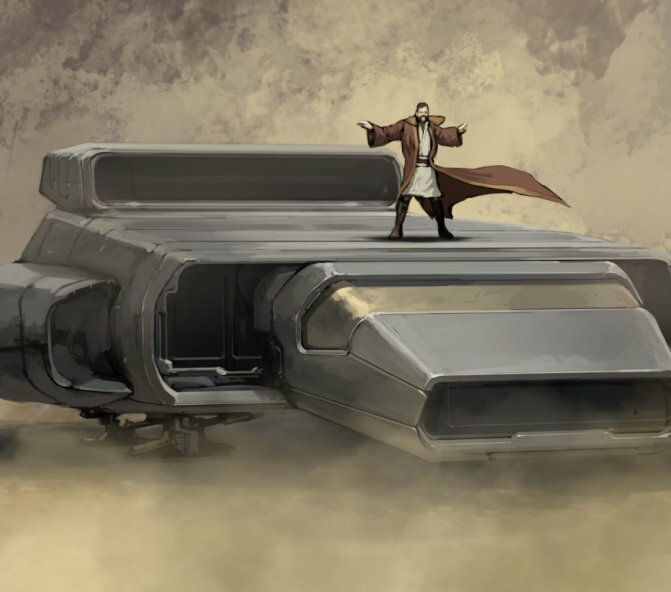 Included in the vehicle section are some luxury land speeders, as well as the J-Type diplomatic barge maybe better known as the Naboo cruiser, as well the the precursor to the more famous Lambda, the Kappa-class shuttle. There are a few interesting starship modifications, but the one that really piqued my interest was the holonet pirate array. This allows you to either communicate or monitor communications through the heavily restricted Imperial Holonet. Lots of cool adventure ideas came to mind once I read over the full description. The last section details diplomatic mission ideas. A lot of these remind me of certain Clone Wars episodes: Maintaining Relations, Insurrection and the Empire, Diplomatic teams. At first I thought that diplomatic missions would be pretty dry, but when you think about it, so many parts of Star Wars have to do with diplomatic negotiations, and making sure they proceed without a hitch. There are lots of great adventure seeds for different Diplomat specs and different motivations or duties. 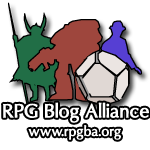 There are a few full multi-scene adventures that could be used as a quick outline for a session or two. Some of the most fun I’ve ever had in an RPG is when the party has a home base. In Edge, you are encourage to make your ship your home and place of refuge. In Age, you are encouraged to build a rebel base. This book talks about not only creating a base, but adding upgrades to it like medical facilities, hangers, an armory, training facilities, command and control. You could make this like base management from X-COM. Finally the book wraps up with a few campaign ideas revolving around diplomatic missions, and mentions awarding diplomat characters with non-material awards like contacts, honors, and favors from NPCs to be called in at a later date. Overall at first blush I thought this book was not going to be the strongest choice. I have to admit diplomat did not hold a lot of interest for me when I first reviewed the core book. After reading this I have a new appreciate for the nuance that could go into a diplomatic character, and the wide variety of missions that could come out of this material. 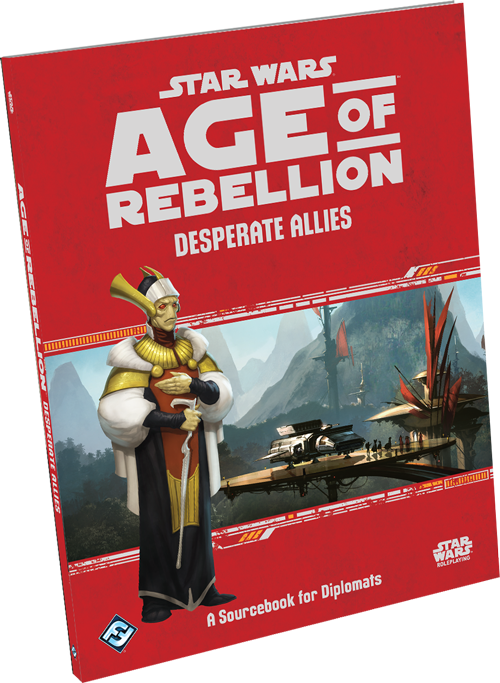 This is a great addition to the Age of Rebellion game, and I would highly recommend it. 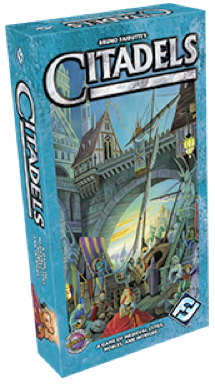 I got a chance to play an intriguing card game over the weekend called Citadels from Fantasy Flight. 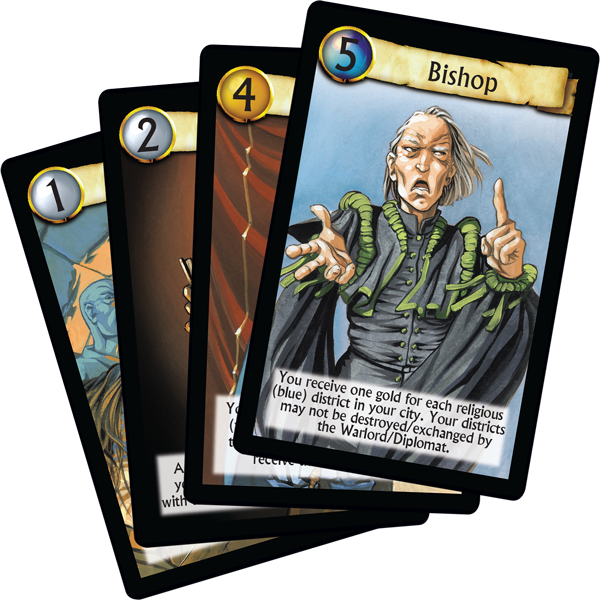 It is a fairly balanced blend of strategy and randomness that I look for in board/card games. The goals is to build a diverse city as quickly as possible, while assuming different roles each turn that provide different abilities to give you advantages over the other players. Some roles like Bishop, Merchant, Warlord, and King give you extra income based on what districts you already have built in your city. Assassin allows you to choose a role that cannot act that round (murder! ), thief allows you to steal the gold from a particular role, architect allows you to build multiple districts in a round, and draw more cards, etc. The interesting mechanic is how these roles are chosen. Each round, the roles act in the same order, and whoever chose King the last round, picks first for the next round. One role is randomly removed and not available that turn. Once the current King chooses whatever role they want for the next round, they pass the cards to the next player. Once it gets all the way around to the last player, they can choose either the last card, OR the one that was randomly set aside by the king. Players can use logic, and what roles were available when they chose their role to try and figure out what others chose, but there is always a bit of mystery about who chose what. When the thief or assassin announce their targets, they chose ROLE targets, not player targets, making it quite entertaining to conceal your role, while still gaining a tactical advantage in building your city faster than the other players. More information can be found at this intro site. I would certainly recommend picking this one up. We were playing with 7, but can be played with between 2-7. I would think this game would be better with more players rather than less to increase the amount of available roles and intrigue. If it is out of stock at your FLGS, take heart! According to the Fantasy Flight site, it looks like a restock is on the slow boat from China.